I am trying to burn a movie onto a blank DVD for use with any DVD player. I was hoping the DVD disk would play automatically after burning but, instead, I can just see this on the disk when I double-click on it. Please see attached. So, you're trying to get your DVD software to automatically start playing a DVD movie on your PC when you double click the disc in Windows/File Explorer, right? Sounds like what's happened is either your Windows setup has been configured to open Windows/File Explorer when you double click a DVD Video disc or you don't have any DVD player software installed. What DVD software did you expect to play when you double clicked on the disc? Was it working before or is this your first time trying to play a DVD Video disc in Windows? If it's the Windows configuration issue, I'm not exactly sure how to fix that. Maybe changing your autoplay settings in Windows might help, but I think that only applies when you insert a disc, not double click on it. I actually know how to do the OPPOSITE. Turn ON Windows/File Explorer opening when you double click on a DVD disc, not turn it off. 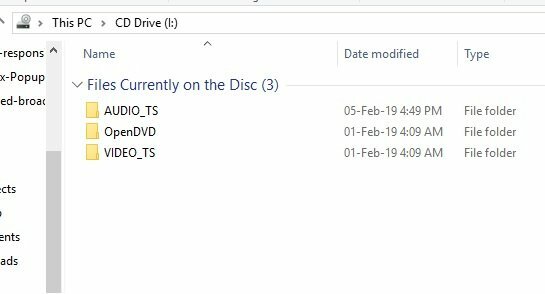 Yes, I am trying to have the DVD begin automatically on my PC, but I will give the burnt disk to a friend who has no PC - she has a TV DVD and the disk should start automatically in that as well. I have got Windows Media Player and VLC Media Player installed. Sometimes, VLC loads up and other times I have an option. I will try burning the disk again and see what happens! Burning the image again, 99% most likely, will not change the outcome. It's probably not a disc issue but your PC configuration. What version of Windows are you using? On Windows 10, Windows Media Player no longer plays DVD Video discs. I forget if it did on Windows 8 or not. I know it did play on Windows Vista. I don't know if VLC will play DVD's if you double click a disc in Windows/File Explorer or not. I have Windows 10 with Autoplay on. If I start up VLC and then File | Open folder and choose VIDEO_TS, the movie plays. But I doubt that will be possible on a TV DVD player. Is it likely that all she will need to do is press the TV DVD's 'Play' button? Sometimes when I have burnt to a blank disk, the movie plays on my PC, but not on a TV DVD player. Depends on the TV DVD player. It should be just as simple as inserting the disc you burned in a DVD player. It should auto play. But, some players can be configured to disable this, like I did with my PS3. 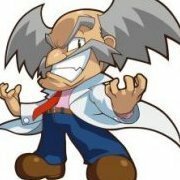 As I said, it depends on the player and the disc you used to burn with. As long as it's a quality disc and the DVD player can play them properly, the player shouldn't have a problem playing it. The reason a disc generally doesn't play on a DVD player but plays on your PC is because of the disc you used to burn. The disc is not recognized by the DVD player as having been inserted/playable. Cheaper discs like CMC Magnetics media generally have playback compatibility issues. Which is why we don't recommend using cheap media and recommend high quality blanks like Verbatim (DataLife Series/AZO, NOT Verbatim's Life Series, which is CMC.). it depends on the player and the disc you used to burn with. As long as it's a quality disc and the DVD player can play them properly, the player shouldn't have a problem playing it. Well, that's encouraging - many thanks!